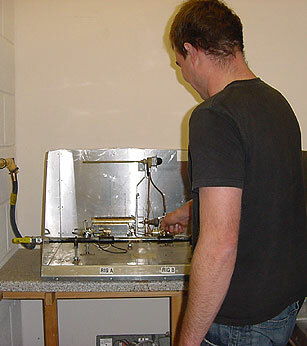 The Guild of Gas Fitting Operatives course is aimed at those who are currently working within the gas / plumbing industry, alongside a Corgi registered engineer or those who hold suitable other qualifications or the experience to enable them to be successfully up-skilled but do not have the relevant entry qualifications to allow them to undertake ACS Domestic Gas Assessments. This specially designed course programme is carried out over one day per month, for five months and during month six there will be three days revision prior to sitting the Guild of Gas Fitters examination. This allows delegates to continue working whilst studying. Delegates receive both theory and practical training and will complete tasks on and off the job in order to build their personal portfolio of evidence. On successful completion of the GGFO course, assessment and completed portfolio, the Guild of Gas Fitters certificate will entitle delegates to attend the core domestic gas safety (CCN1) training and assessment.